Brick Block Animations Sep. 2, 2018. 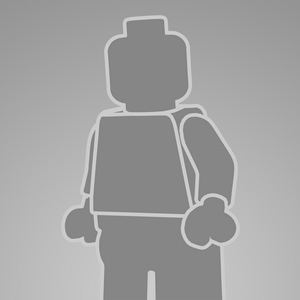 Very funny brickfilm. The comedic timing was excellent, the jokes silly, and the animation snappy and energetic. Good work. Pritchard Studios Sep. 2, 2018. I must say, having not been familiar with this species, that the information presented was at once intriguing and, at times, quite depressing, though the friendly voice narrating it all was quite an encouragement in the face of the yellow horses eminent extinction. However, I feel that one large area of the said species history was entirely neglected. For, now, the plains of the baseplate are roamed by smaller, more shapely breeds of browns, blacks, and whites, and I was immensely saddened that any information on the rise of these smaller breeds, if indeed, they be true descendants of the yellow horse, was completely lacking. Are the new breeds truly descendants, or a rival species, and if so, what caused their uprising compared to the yellow horses gradual disappearance? The "mockumentary" style was executed perfectly! The humor landed well, the sequenced were well animated, and the narrator's voice was superb. Thank you, guys! Pritchard, your comment was absolutely heartwarming, I really appreciate your kind words. And on a sidenote, the director of this documentary doesn't like other kinds of LEGO horses, so he likes to pretend that they don't even exist. As a baby he was actually attacked by a black horse, with no saddle, just a hole in its back. It was a big trauma for him.